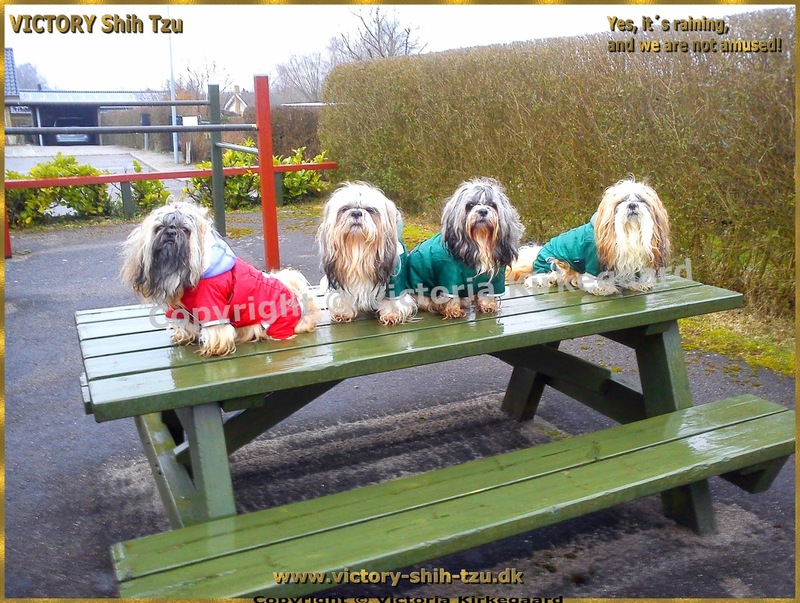 VICTORY Shih Tzu: Fantastic 4-legged rain coats! These rain coats are so amazing, so FANTASTIC! We love them! They are so light and comfortable, really good quality. My Sweethearts are completely free to move, walk, run around and have the best of fun, and the rain coats keep them dry, when it rains ect. I also use the rain coats, when it doesn´t rain to protect their full show coats without messing their hair up, or entangle or matting their hair. Fantastic!